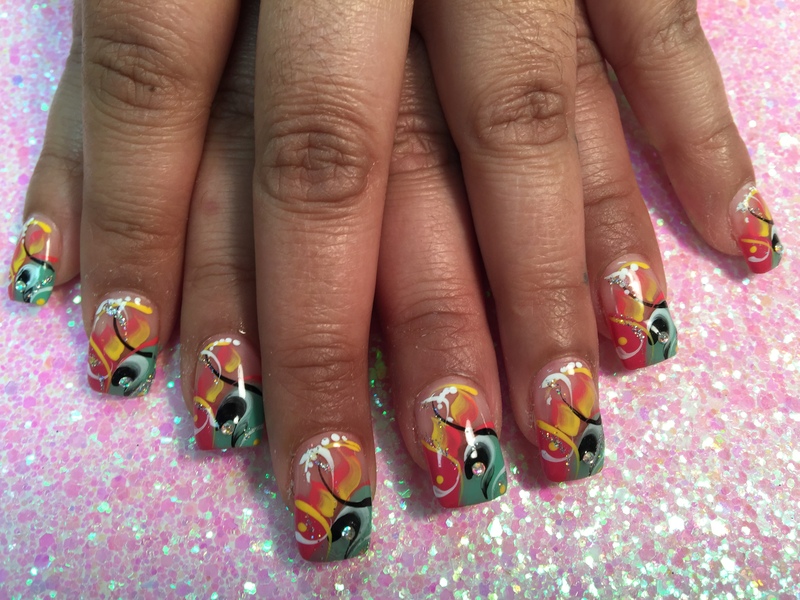 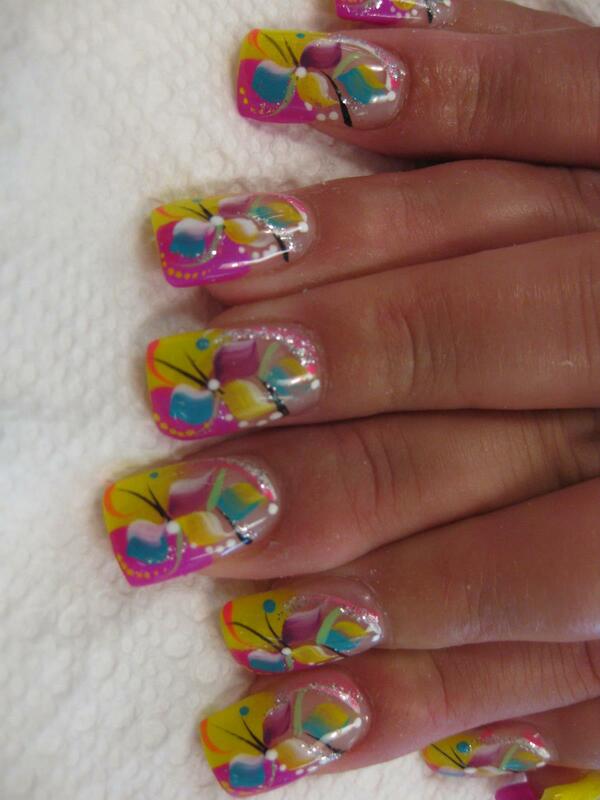 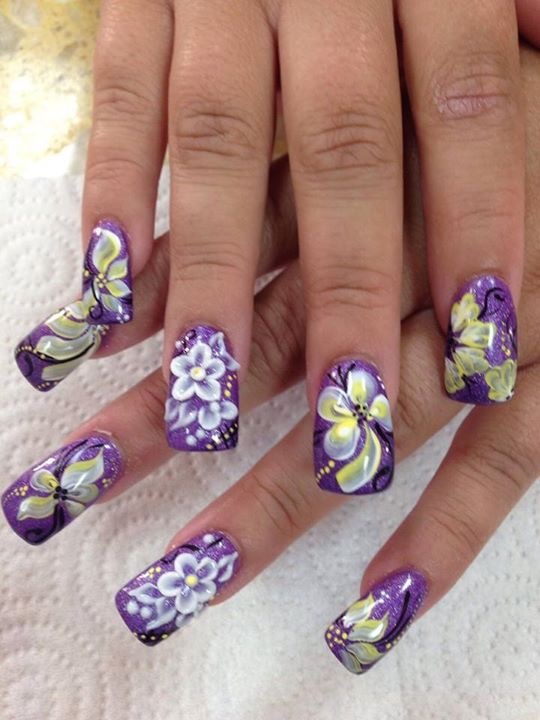 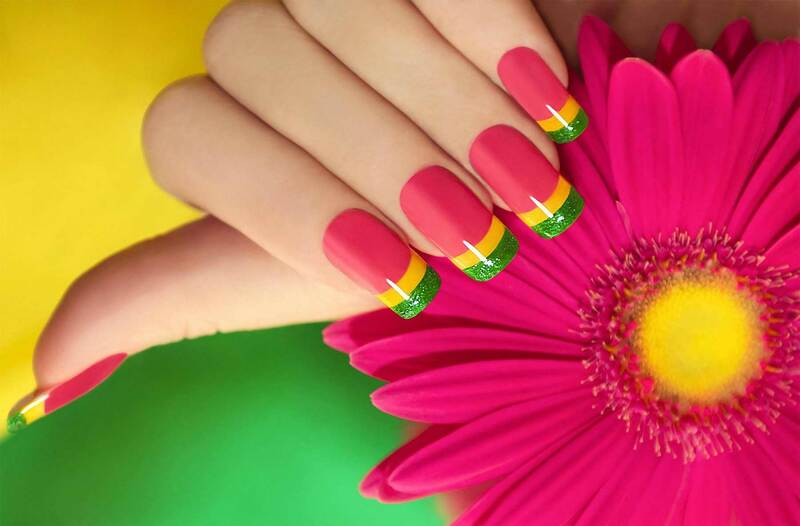 Ocean Swirl, nail art designs by Top Nails, Clarksville TN. 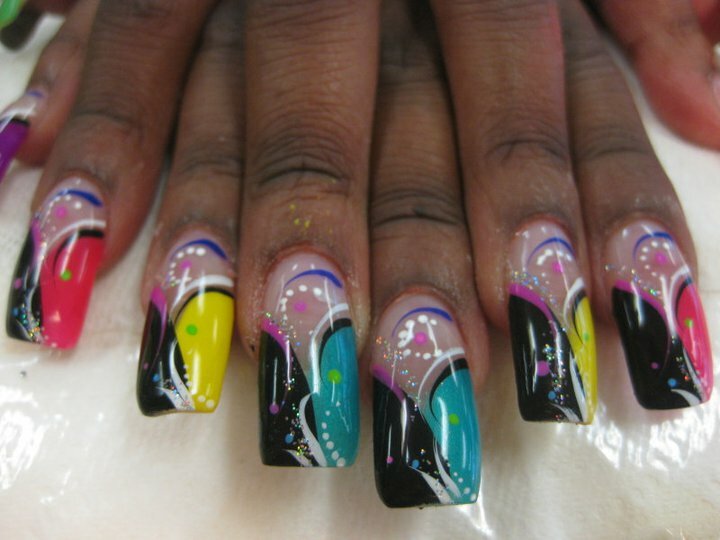 Deep ocean blue/light green tip, light blue flower petals and black swirls topped with yellow petal and white dots. 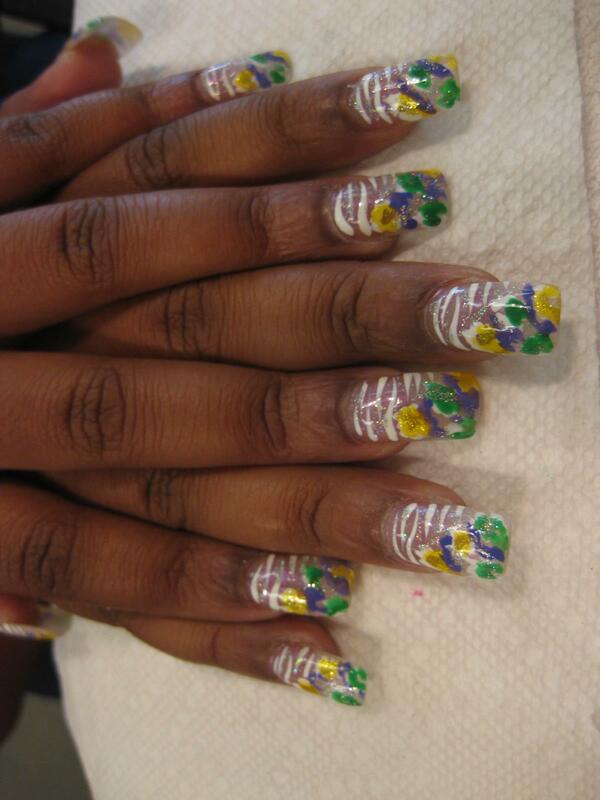 Yellow, green, and purple flowered tip on background of white swirled mist shapes sprinkled with sparkles.